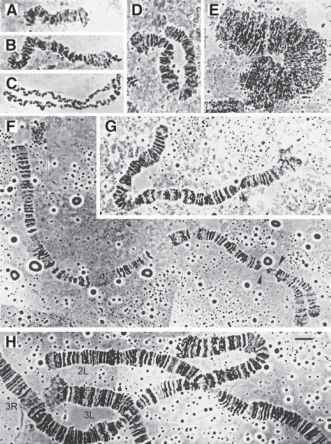 The generation of dicentric chromosomes by site-specific recombination is a technique that has been used to study a number of different chromosomal phenomena, including: (1) the segregation of acentric chromosome fragments (1,2), (2) the behavior and resolution of chromosome bridges during cell division (3,4), and (3) cellular responses to a broken chromosome end (4). Its greatest advantage is that it allows quantitative experiments on the behavior and cellular consequences of this class of chromosome rearrangement. Furthermore, recombinase-mediated dicentric chromosome formation is specific in that the timing of formation and specification of the chromosomes that are involved are defined by controlled expression of a recombinase and the location of recombinase target sites, respectively. Choice of target sites provides a sophisticated degree of control over the genetic aneuploidy that can result from cell division after a dicentric chromosome is produced. Use of such a predictable, quantitative system can be quite powerful. For example, efficient production of dicentric Y chromosomes aided in the cell cycle analysis of DNA damage responses in Drosophila somatic cells, with significant differences from experiments performed with random (X-ray) methods (4). generation of defined chromosomal rearrangements, and insertion of DNA into specified locations within the genome (6,7). Two components are introduced into flies to achieve FLP-mediated recombination: a transgene that will produce the FLP recombinase, and transgenes that carry the FLP Recombination Target (FRT) sites. Production of FLP (typically from a heat-shock-inducible hsFLP transgene) results in recombination between pairs of FRT sites. FRT sites are asymmetric; thus, the possible recombination products from any two sites can be predicted given the relative orientation of the two sites (direct or inverted) in the genome. The frequency of recombination events varies according to the distance between the two FRT sites, the linkage relationship (cis/trans on homologs or heterologs), the sequence context of each site, and their chromosomal context (8-11). In most circumstances, recombination between two nearby FRTs is extremely frequent, approaching 100% efficiency. Dicentric chromosome formation results from exchange between two FRTs that lie in an inverted relative orientation on the same chromosome arm of replicated sister chromatids (see Fig. 1). The chromosomal material distal to the FRT sites is released as an acentric inverted duplication fragment, whereas the proximal material forms a dicentric chromosome. In the following mitotic division, the acentric fragment fails to segregate to daughter cells, whereas the dicentric portion forms a chromosome bridge as the two sister centromeres are pulled to opposite poles. The genetic consequences of this division are the loss of all genetic material distal to the FRT sites and loss or duplication of more proximal material if the dicentric chromosome breaks at any location other than the site of sister-chromatid fusion. In most cases, the loss of chromosomal material is significant and the resulting daughter cells are severely aneuploid. A pair of inverted FRTs in 8F of the X chromosome was used to test the efficiency of dicentric formation and to examine its phenotypic consequences (8). Heat-shock-induced production of FLP in larvae resulted in substantial pupal lethality and produced defects in the eyes, wings, tergites, and bristles in the individuals that eclosed as adults. This syndrome was consistent with the production of aneuploid cells after dicentric formation and division, and aneuploidy specifically for the X chromosome was confirmed by consequent loss of a distal yellow+ marker. There was no evidence that rearrangements in other parts of the genome occurred. Approximately 90% of mitotic figures in larval brain tissue showed dicentrics (see Fig 1B,C), demonstrating that the frequency of unequal sister-chromatid exchange between FRTs was very high. Although FLP-mediated recombination is expected to be a reversible reaction, dicentric formation might be favored if the freed reciprocal acentric and dicentric products drift apart, which would preclude their reunion by another round of recombination.